Korea is one of the most modern countries in the world. Still, it’s fun to know that “squat toilets” are still used in this part of the globe. 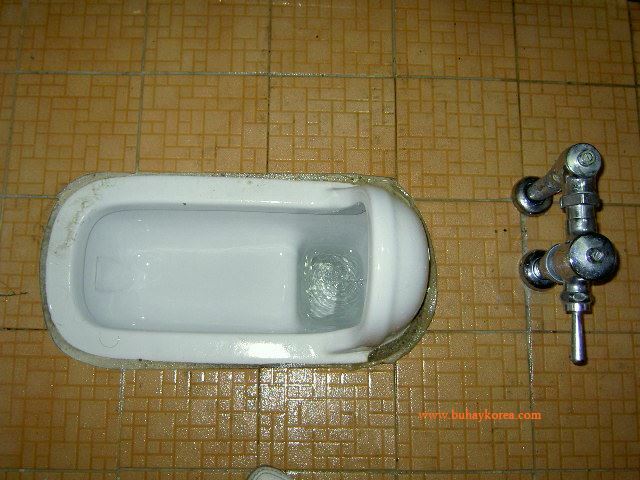 The last time I used a squat toilet in the Philippines was in early 1980s on a visit to Sta. Rosa, Laguna. It was actually an outhouse ~ a lot more provincial and less hygienic than the squat toilets we see in Korea. Is this somewhere in the province? yup… but that kind of toilet can also be found in big cities like seoul! Oh I despise those. I walk around until I find another restroom. I mean how do you keep from getting your pants soaked, especially in the Philippines where they use water instead of toilet paper? I’m curious. you can make some sculpture out of it. not sure if i can try it again.